Thank goodness for pink ribbons! There was still a ton of snow on St. Mary Peak (9,350 feet), but on July 20th, we really thought there wouldn’t be enough to be an issue. I mean, it hasn’t snowed for more than six weeks. About 3/4 of the way up, still way below 9,000 feet, the trail was completely blocked by deep snow. The snow was on a really steep slope, so it would’ve been really dangerous to try and traverse it. Yayyy. No use going on! Time to turn back. 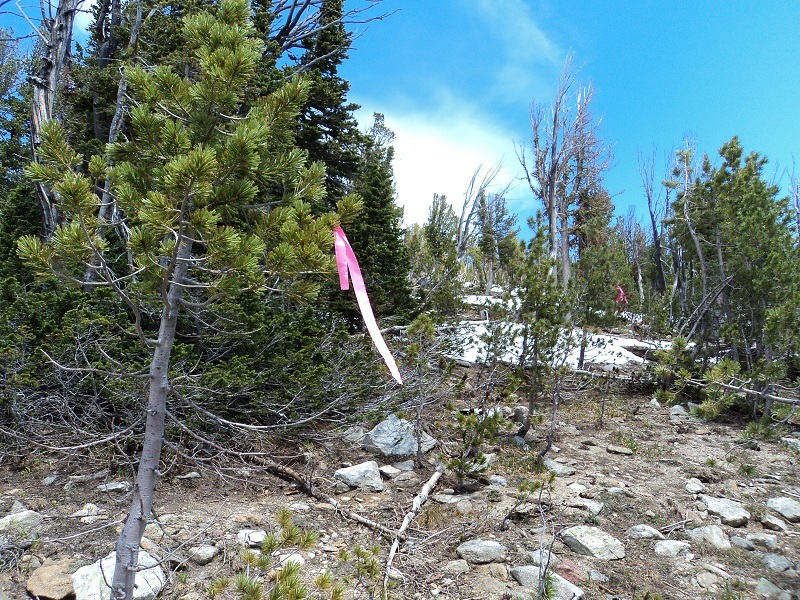 Nope, someone had tied some pink ribbons along the whitebark pines. We followed the ribbons, bushwhacking up the side of the mountain. “These ribbons must be here for a reason,” my boyfriend said. We went STRAIGHT up the mountain, following the pink ribbons for 200 or 300 metres. I had gone to the top of St. Mary Peak before, so I knew the trail eventually did a big switchback, and we were headed in the direction where the trail was supposed to be. About every 40 or 50 feet, there would be another pink ribbon tied to a tree. It was like following a trail of breadcrumbs. It was a little spooky because the whitebarks were about head high and so you couldn’t really see much of where you were going. Looking behind, you couldn’t see the trail at all anymore. Just a steep CLIFF. Sure enough, after slogging up the mountain for 10 minutes, we found the trail. Sure enough, some Good Samaritan or maybe the Forest Service, had put those pink ribbons on the trees for a reason — to show hikers the way. From then on, the trail was clear. It was very, very cold, but easy walking. I couldn’t believe how much snow was still up there. The Heavenly Twins were just covered in snow. I really think some of that snow will not melt AT ALL this year. I hope the Canadian Rockies aren’t so snowed in! “Almost everyone knows that ‘smoking is bad for you.’ The purpose of Smoke Damage is not merely to repeat this message. 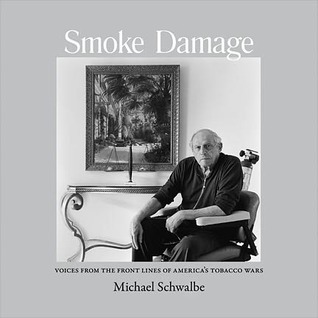 Certainly, one purpose is to show, in concrete terms, how tobacco-related disease changes people’s lives for the worse, causing not just debilitation and premature death but also death but also emotional suffering for those who are connected to tobacco users,” Schwalbe writes. This is a powerful book. Really one of the best anti-tobacco books I’ve come across. It really blew me away. And Schwalbe is not a professional writer. 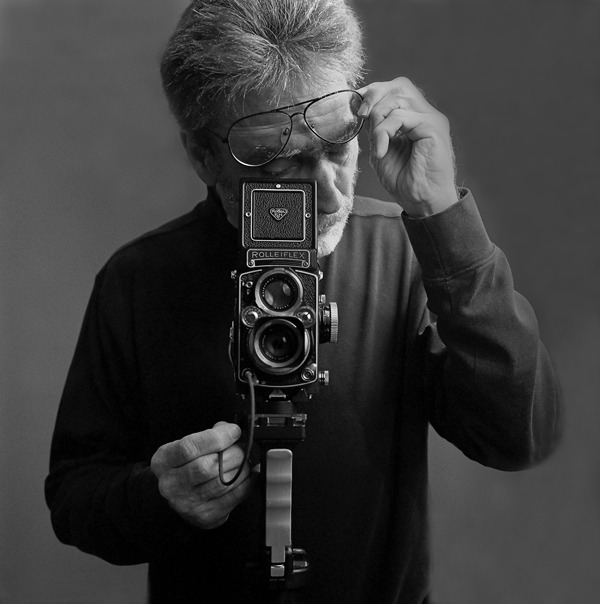 Schwalbe simply allows people to tell their stories with no editorializing on his part. The book is a series of one-page interviews with a number of subjects involved in tobacco, with a stark full page black-and-white photo opposite the text. There are several professional anti-tobacco advocates that I’m personally familiar with included in the book, but most compelling are the stories from people physically devastated by their smoking habit; people breaking through holes in their throats, people hooked up to oxygen. This brings the reader up front and personal with what the war against tobacco is all about. I urge everyone to buy this book or check it out at their local library. You will not be the same afterward. Leigh Montville is a former sports columnist for the Boston Globe who has written books about American sports legends such as Ted Williams, Dare Earnhardt and Manute Bol. In his latest book, “Evel,” he tackles one of the most complicated American sports legends ever in Butte’s Evel Knievel. “He was from Butte, Montana, and his life was a grand, sloppy American saga. “He was from Butte, Montana, and he traveled a long way, met a lot of famous people, made and spent a lot of money, kissed a lot of girls. He was from Butte, Montana, and he never left, no matter where he went,” Montville writes. Montville uses this kind of breezy, conversational columnists’ style in relating anecdotes about Knievel’s wild and controversial life. He also does a good job of detailing the old days of Butte, still more or less a Wild West kind of town in the mid-20th century, and how this hardscrabble, alcohol-soaked blue collar city came to shape Knievel. “The charm of Butte always was the fact that there was no charm,” Montville writes. He breaks up his narrative every few pages with “… a story,” about Butte, Knievel or one of Knievel’s friends. My favorite, “… a story,” was about Jean Sorenson, a foul-mouthed bar owner in Butte who shot down two former husbands and eventually went to prison when she shot a man dead in the 1970s — after she refused to serve a black soldier and he objected. She returned to Butte as the same bar fixture she had been when she was sent down the river. “This is the city where Robert Craig Knievel was born on Oct. 17, 1938,” Montville writes. Part of what is entertaining and surprising in these early chapters is that former congressman Pat Williams was Knievel’s first cousin and grew up alongside him in Butte. Knievel was a supremely confident fast talker, a con man, who always seemed to be working on an angle, or worse, a scheme. He was a thief, a bank robber and even an extortionist (he had a highly lucrative protection racket in Butte for a time), yet he always managed to avoid getting caught. His charm came to his rescue repeatedly. In this day and age, he likely would have been diagnosed with Narcissistic Personality Disorder and Attention-Deficit Hyperactivity Disorder. Knievel tried to go legit as an insurance salesman, but grew bored and burned bridges. He began racing motorcycles throughout the West, but was actually (surprisingly) a poor rider. Finally, in the early 60s, he came up with a harebrained scheme to jump a motorcycle over a pair of mountain lions and a box of rattlesnakes. It was a disaster, but he made money and found his calling. Knievel truly hit the big time in 1968 and it was for a failure. However, it was a spectacular failure. His attempted jump over the Caeser’s Palace fountains is what made Knievel a household name, especially after an amazing slow-motion footage of his crash was released. Virtually everyone has seen this footage at one time or another. One of the secrets Montville reveals is that it was widely believed Knievel was gravely injured in that crash and was in a coma for weeks. He suffered several broken bones, but Knievel and his people exaggerated the extent of his injuries simply to drum up publicity. He never was in a coma. Knievel made more money jumping now, but he really hit the big time when he agreed to allow a toy company to make an Evel Knievel action figure. Another surprise. Most of Knievel’s wealth came from a toy, not his jumps. As Knievel became a bigger attraction, his ego grew bigger and the events of his life became even more outrageous. Montville has great fun relating the details of the 70s hedonism and violence that swirled around Knievel’s failed Snake River Canyon jump. During the Snake River period, Knievel’s personality turned darker. The sly con man’s charm wore thin. Montville finds numerous sources that absolutely hated Knievel and spoke of his increasingly large ego, his anti-Semitism and his abuse of the people around him, both verbal and physical. The worst of Knievel’s abuse was directed at his wife, according to multiple sources. He not only beat her, but constantly boasted of his sexual conquests with other women, often times directly in front of her. Knievel, never one to turn down a party, also began to drink more and more heavily, and grew more erratic and unpredictable. Finally, his whole world came crashing down around him when he beat his former publicist with a baseball ban, breaking both his arms. He was sent to jail, but more devastatingly, lost his toy contract and his gravy train. When he came out of jail, he was radioactive … and before long, broke. 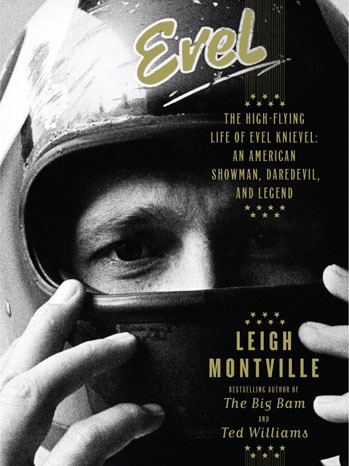 At this point, Montville’s book feels like a big, long hit piece on Knievel, but “Evel” takes an interesting turn at the end … a turn that is weirdly uplifting, yet slightly disappointing. What is disappointing is more attention isn’t given to Knievel’s apparent life transformation toward the end. The last several years of his life, Knievel’s hard living came back to haunt him. He often needed a wheelchair from his multitude of injuries. He needed a liver transplant from his years of hard drinking. He became a diabetic. He developed a severe lung disease (Ironically, despite his hedonistic life, he never smoked.) which eventually killed him. And his wife, sick of the years of abuse, finally divorced him. He was alone and lived in constant pain, and it was that pain that changed the daredevil into a very regretful and frightened man at the end. Knievel expressed remorse many times during his final years for his choices. The man who spit in death’s eye a hundred times finally had his preternatural confidence shattered by pain. A few months before he died in 2007, he appeared to sincerely and genuinely become a devout Christian. Montville breezes through this long sunset period of Knievel’s life in just a few pages, when I found myself wanting to know much, MUCH more about these final years and the radical alteration in his life view. That is my only disappointment with of “Evel.” Perhaps Montville found it too painful or invasive, but I personally think much more drama is to be found by a person’s spiritual awakening than the debauchery at the Snake River Canyon.